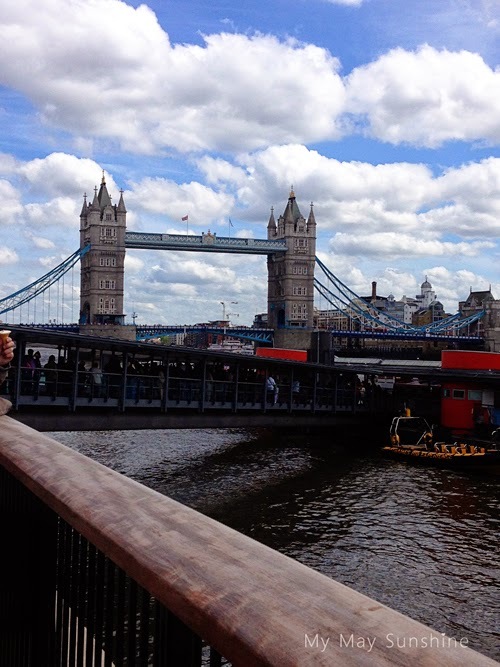 On Sunday we decided to go to London for the day. 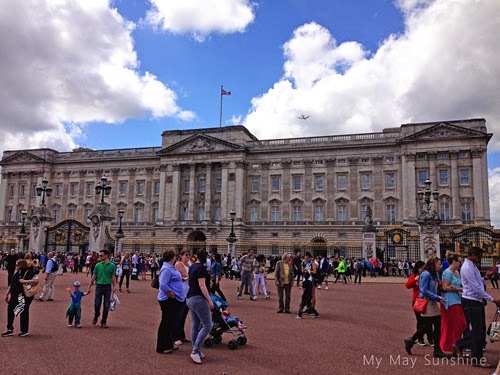 We had won some free train tickets and needed to use them before the end of the month so we left Amelia with her auntie and made our way to London. 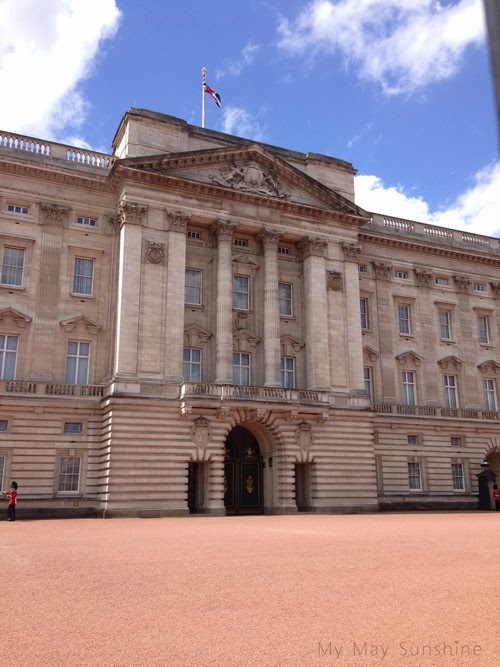 First stop was to St. James park and Buckingham Palace. It was busier than normal as there was a 10k run on and so there was a lot of runners and supporters. 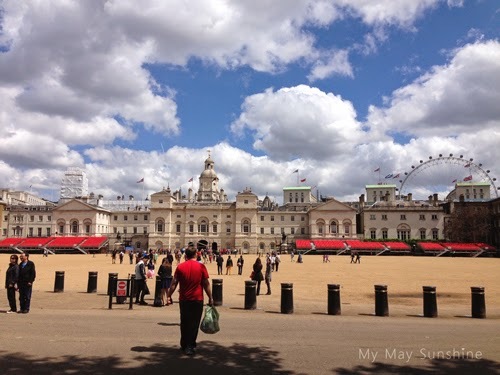 We then saw the Horse Guards Parade. 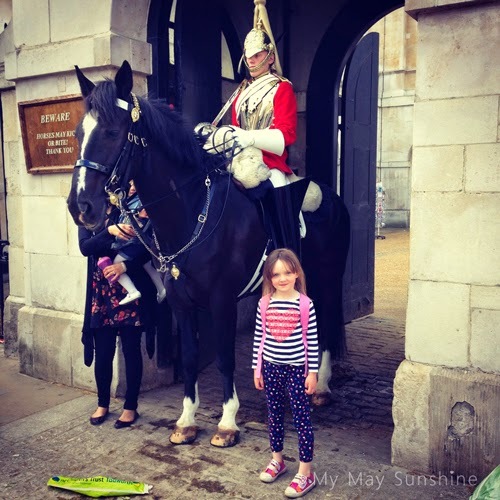 Hollie had her photo taken with a horse guard! 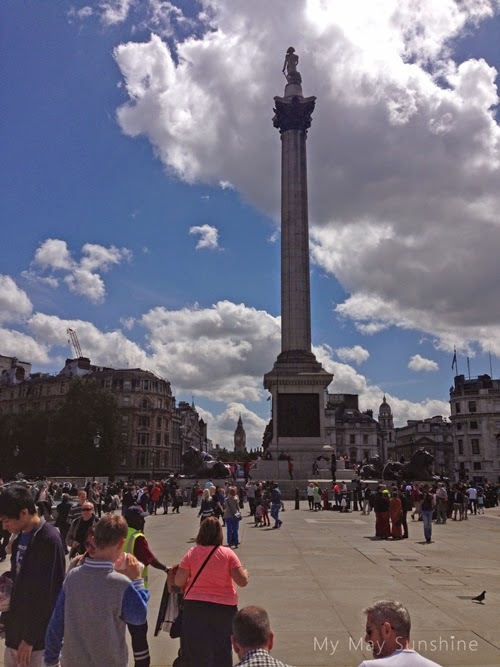 We then walked up the road to Trafalgar square and sat and watched the world go by. Love people watching. Fascinating. Moving on we went to the tower of London and saw tower bridge. 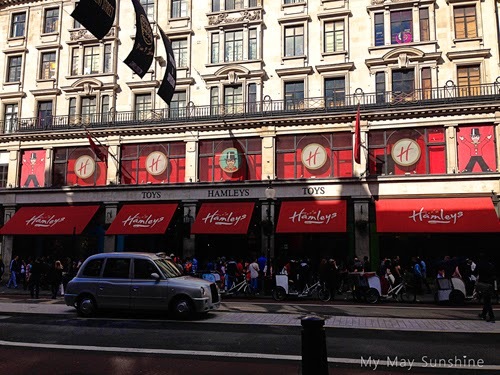 We made a special trip to Hamleys toy shop. Had a good look around and saw lots of demonstrations of toys. 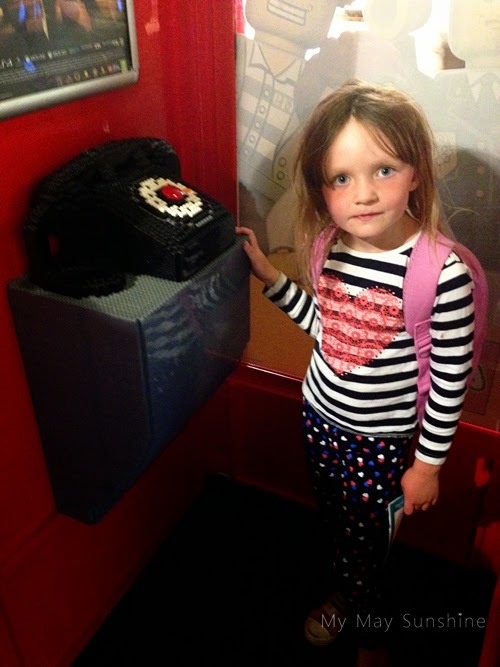 Hollie was fascinated by the phone box made of Lego! 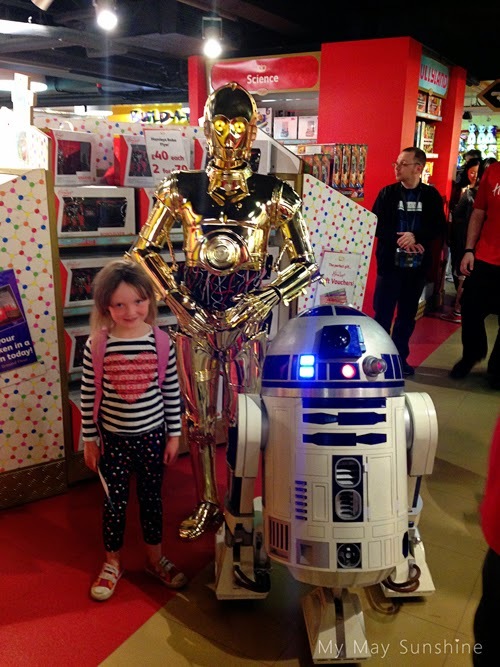 Hollie got her picture taken with r2d2 and c3po from Star Wars although she had no idea who they were! 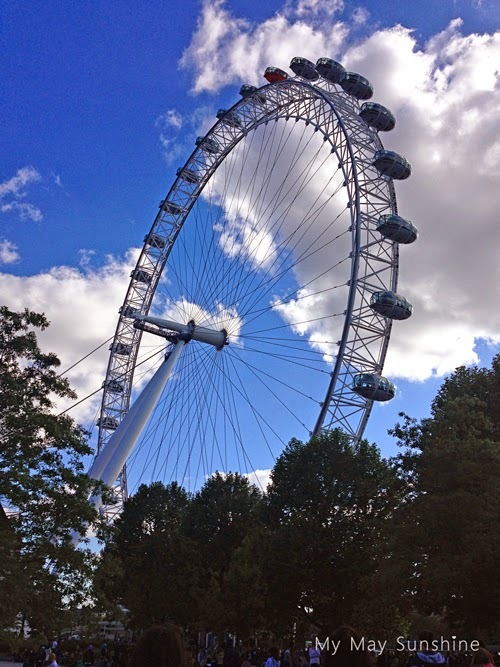 Before catching the train home we saw the London eye. Would have loved to have gone on it but hopefully next time. We had a great time in London and was great to spend some quality time with Hollie. Previous Post Changing things up.